Basement window wells are a necessity if you want to let a little natural light in. The biggest problem is that the typical metal window well gives the feel of a dungeon to the basement. Below are some ideas to improve your basement window wells and make them Pinterest worthy! Garden! You can put pots out there or even hang baskets from the grate cover! Add greenery and a bit of color to the window wells to spruce them up a bit. 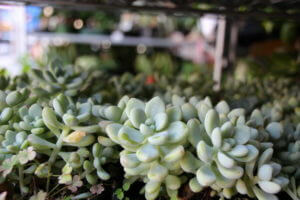 See our other blog post on gardening for more ideas! Move away from metal window wells and toward something with warmth and texture! Rockwell Window Wells offer window wells with warm colored red rock that look and feel like real stone! 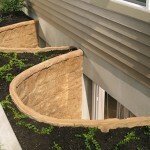 Add a window well cover! 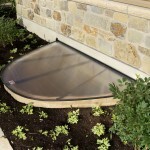 One option is a polycarbonate window well cover, these are durable, allow natural light in, and are easy to open. Another benefit to polycarbonate covers is they prevent leaves/debris from falling into the window well! 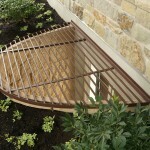 If you are looking for a more classic look the metal window well grates are a fantastic option! These grates prevent accidents, have an earth tone powder paint, and fit in with any natural landscape.